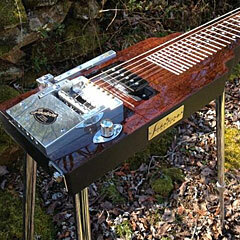 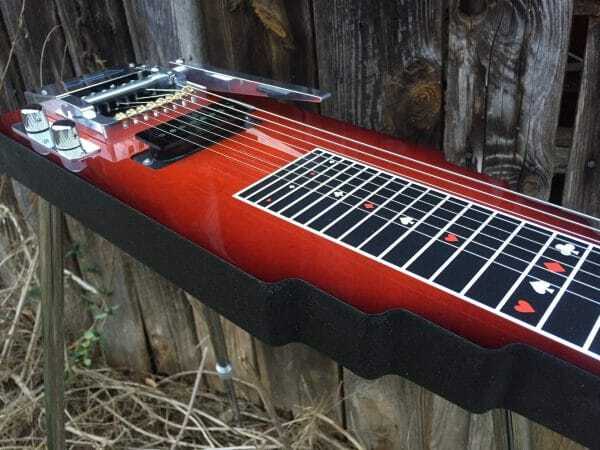 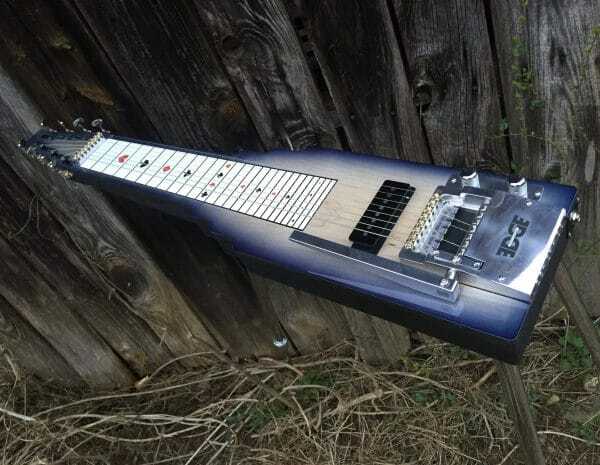 Coolest lap steel ever! 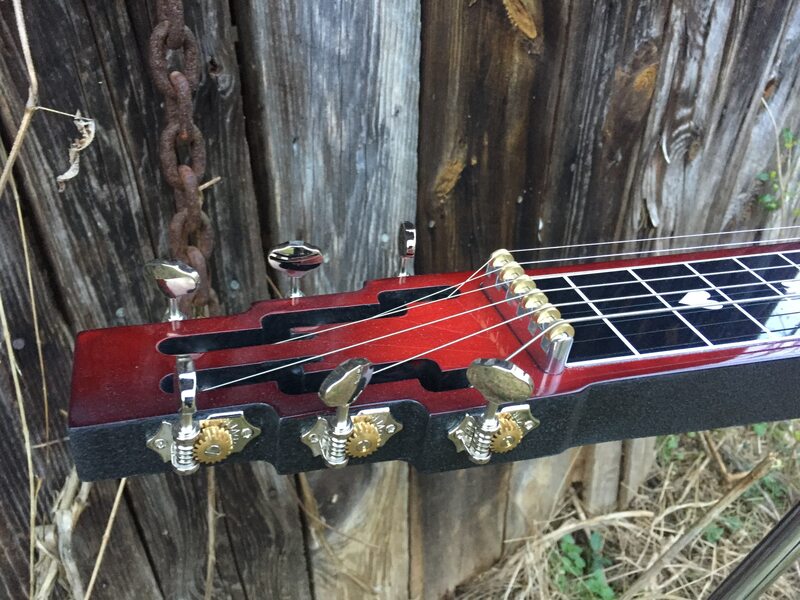 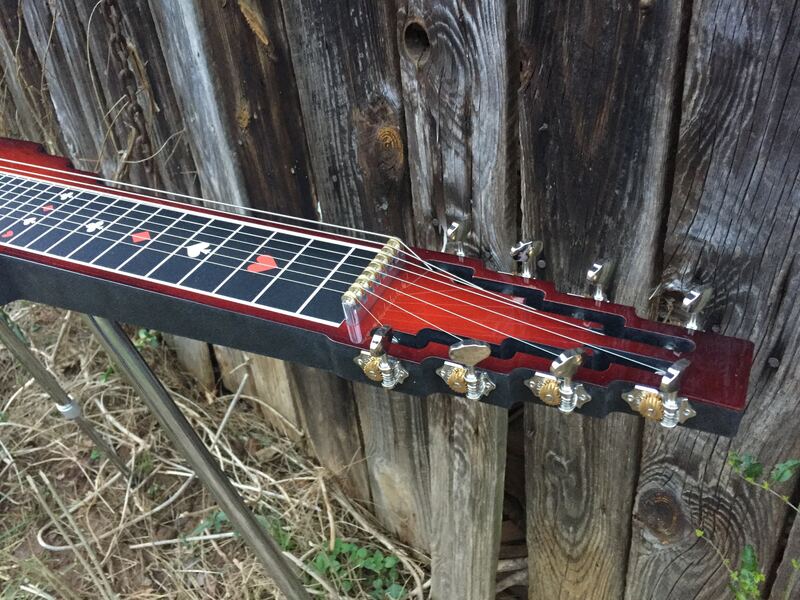 The SlideKing LS lap steel guitar gives you a rich tone and incredible sustain. 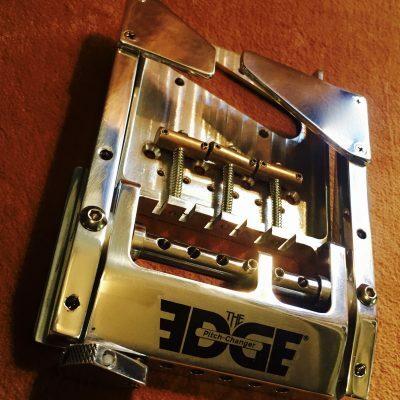 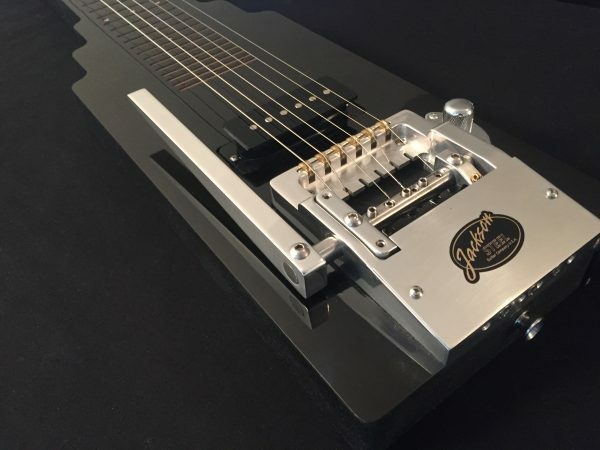 The EDGE pitch changer lets you bend notes like a pedal steel guitar and doubles your chord options up and down the fretboard. 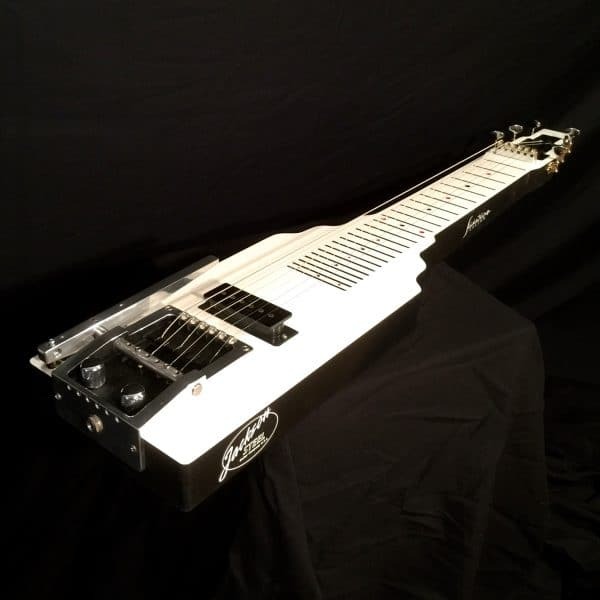 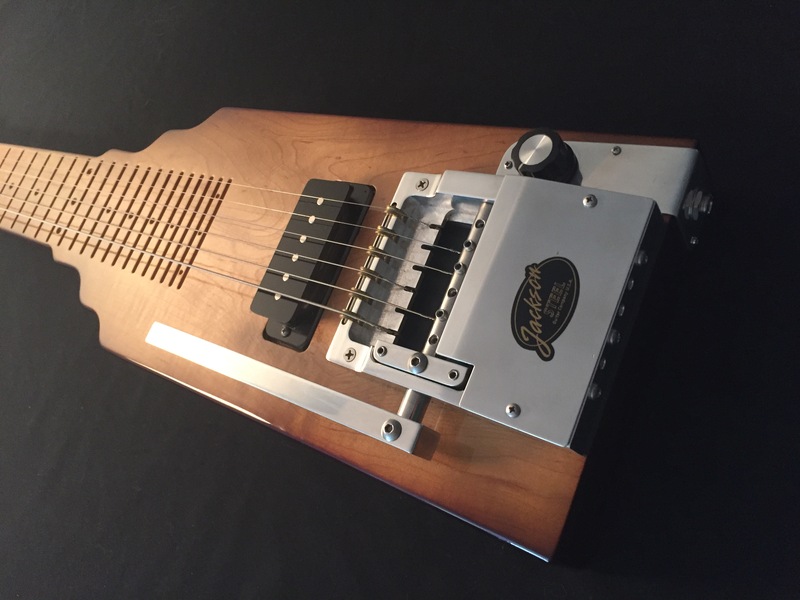 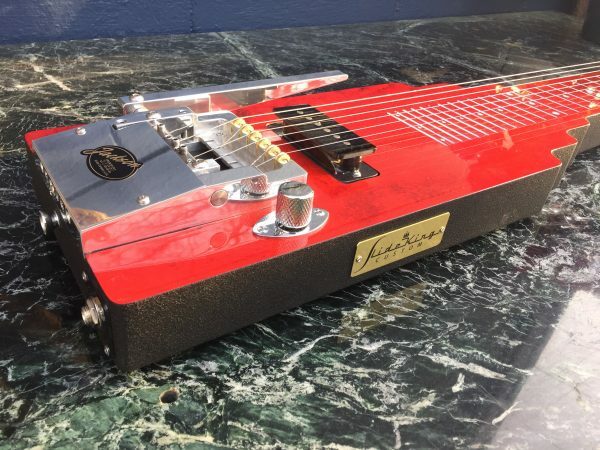 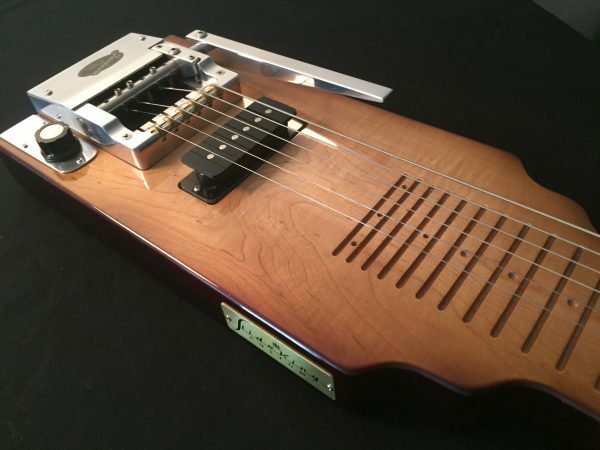 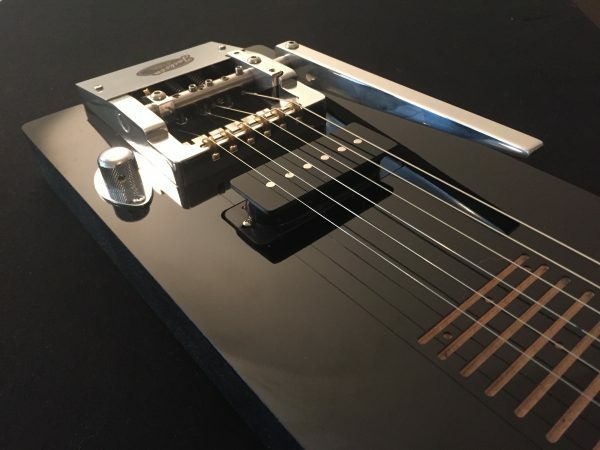 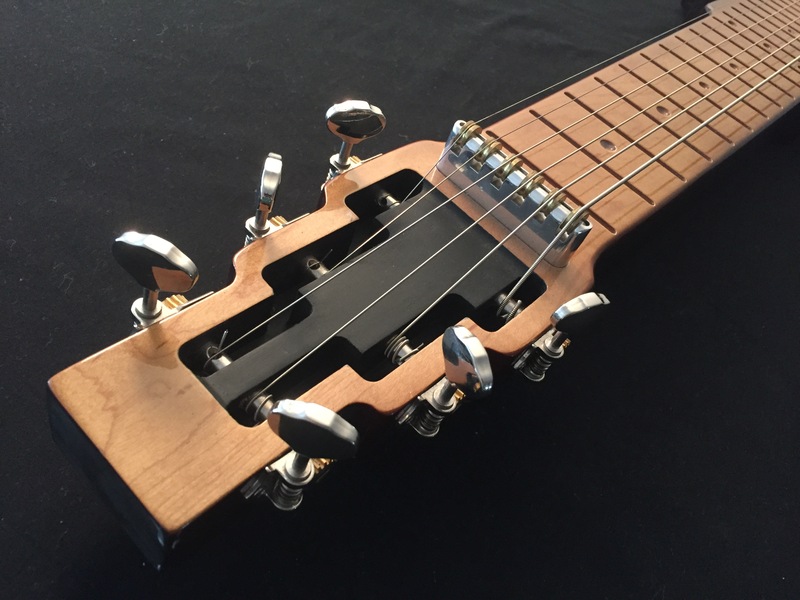 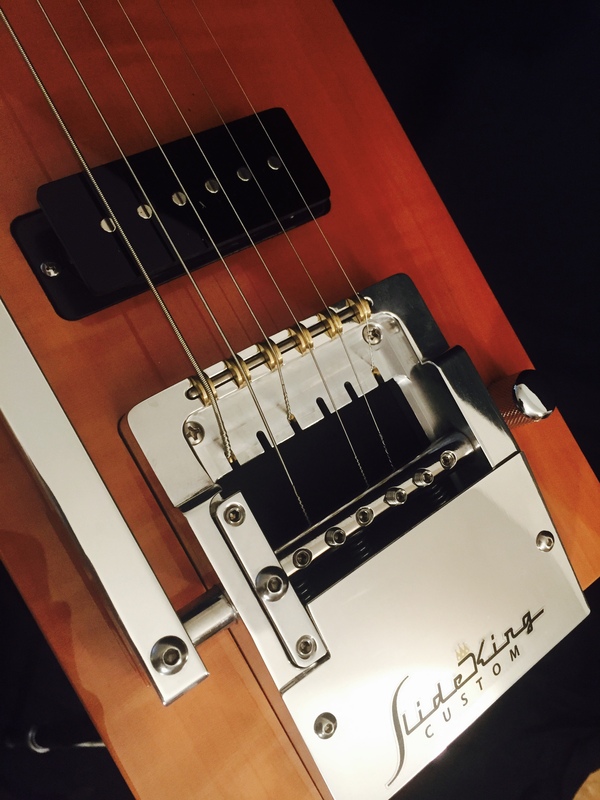 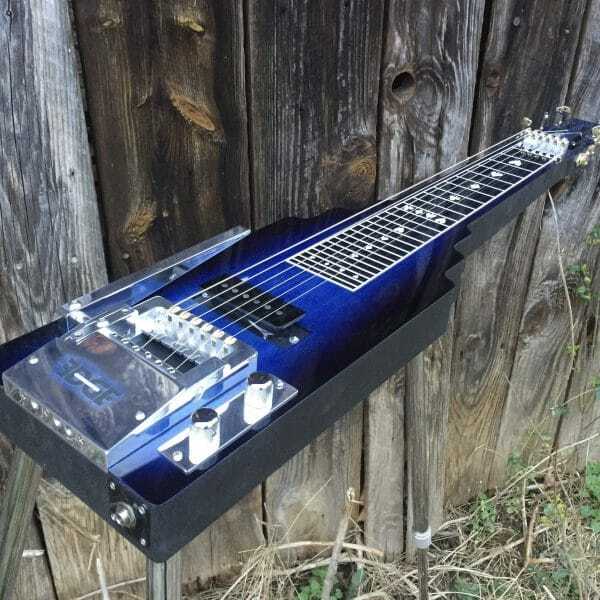 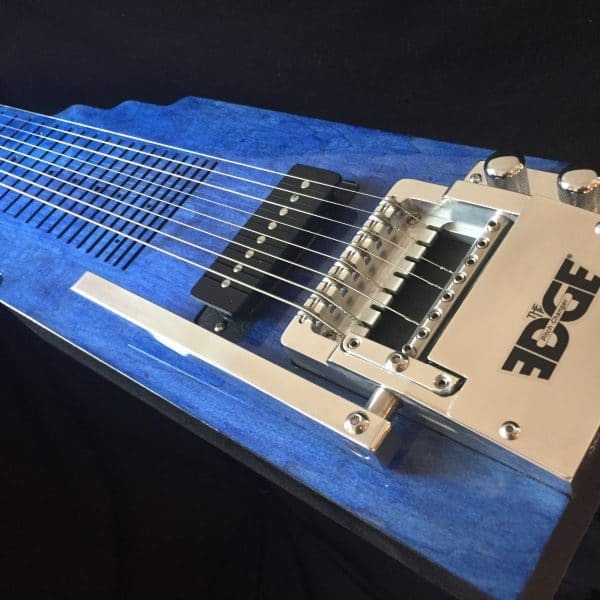 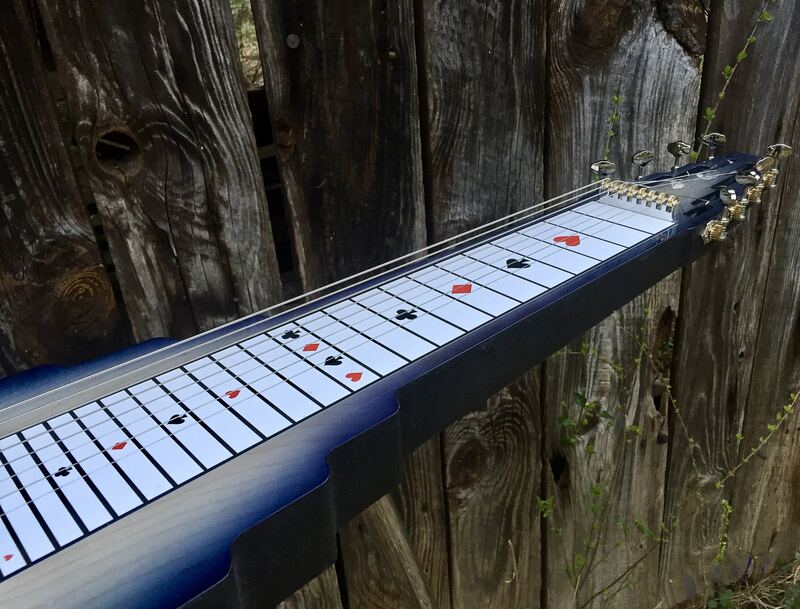 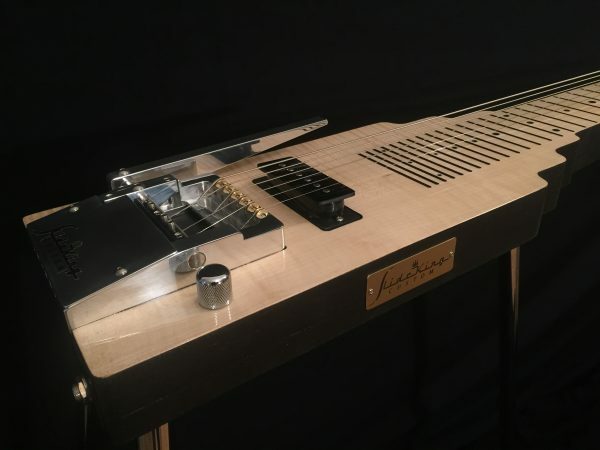 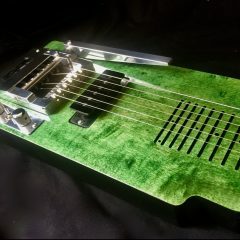 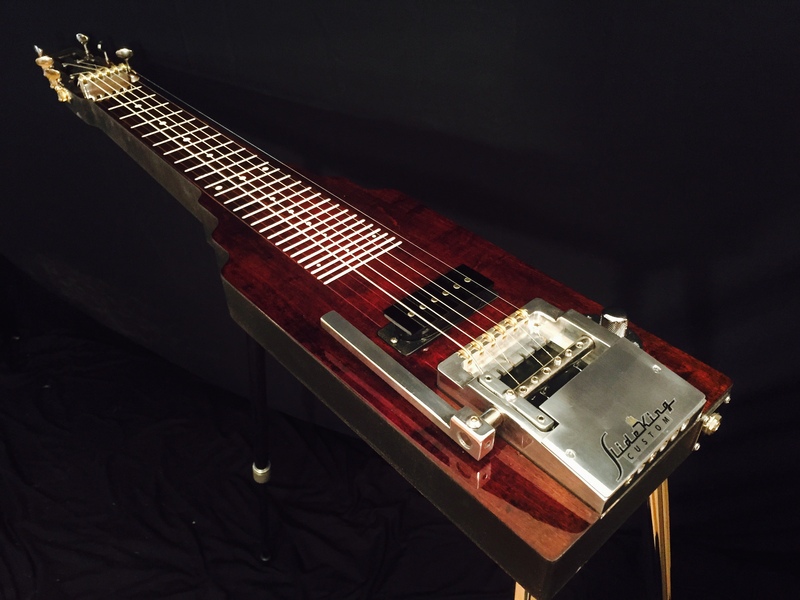 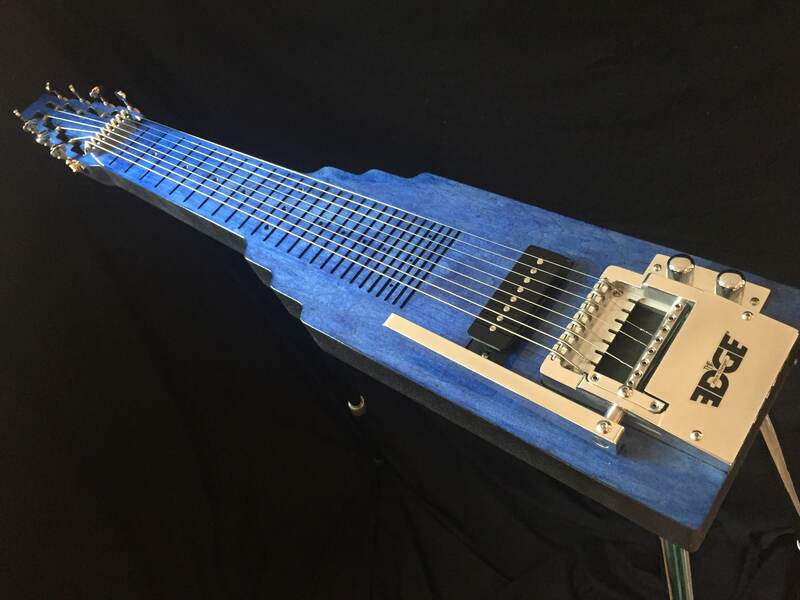 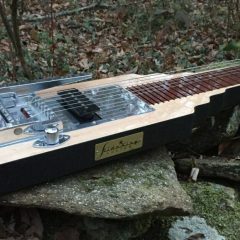 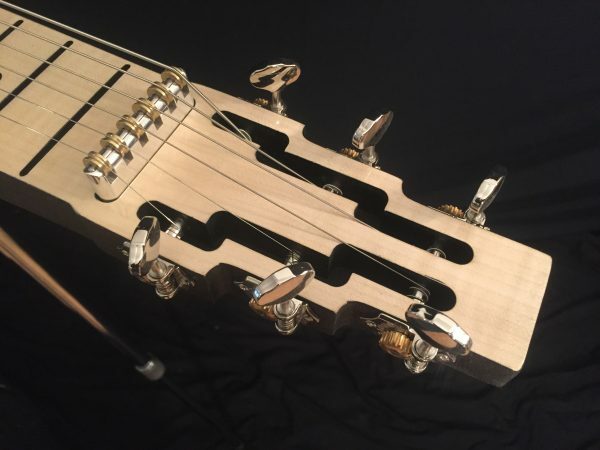 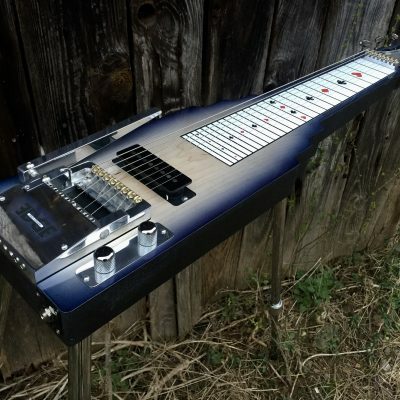 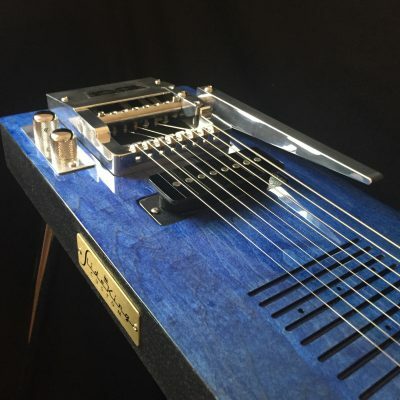 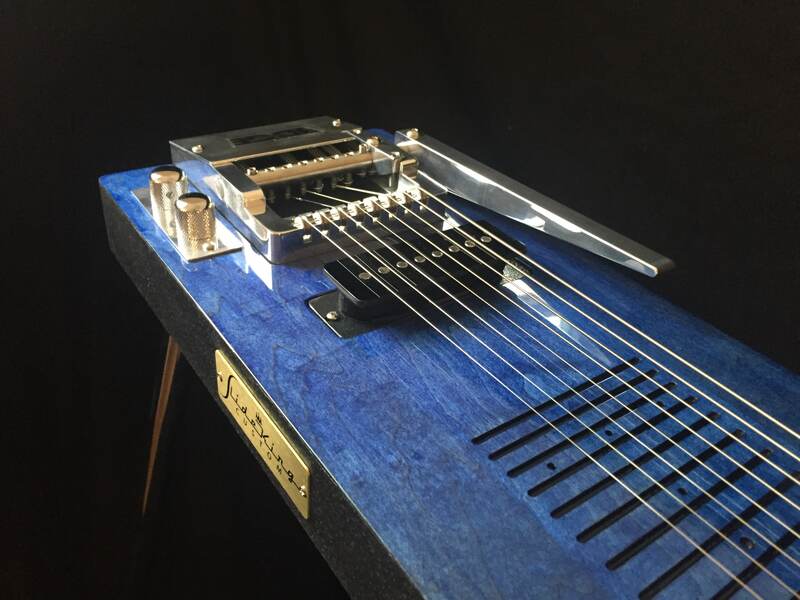 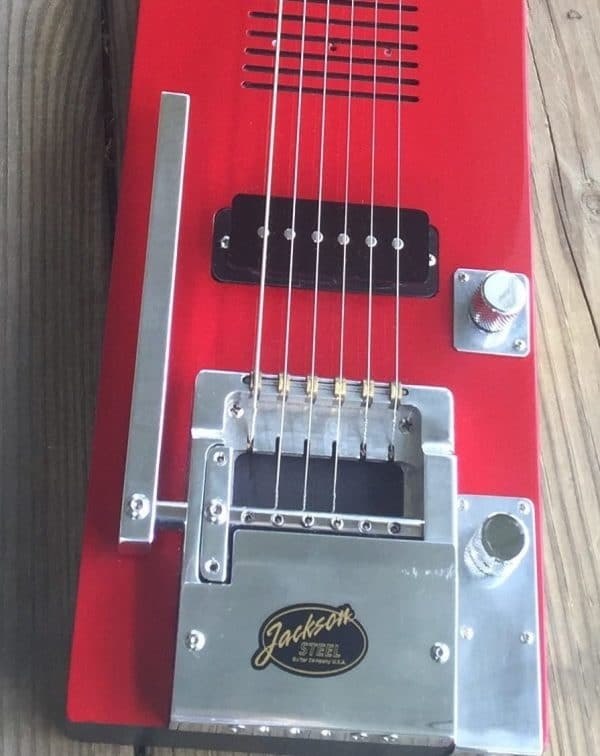 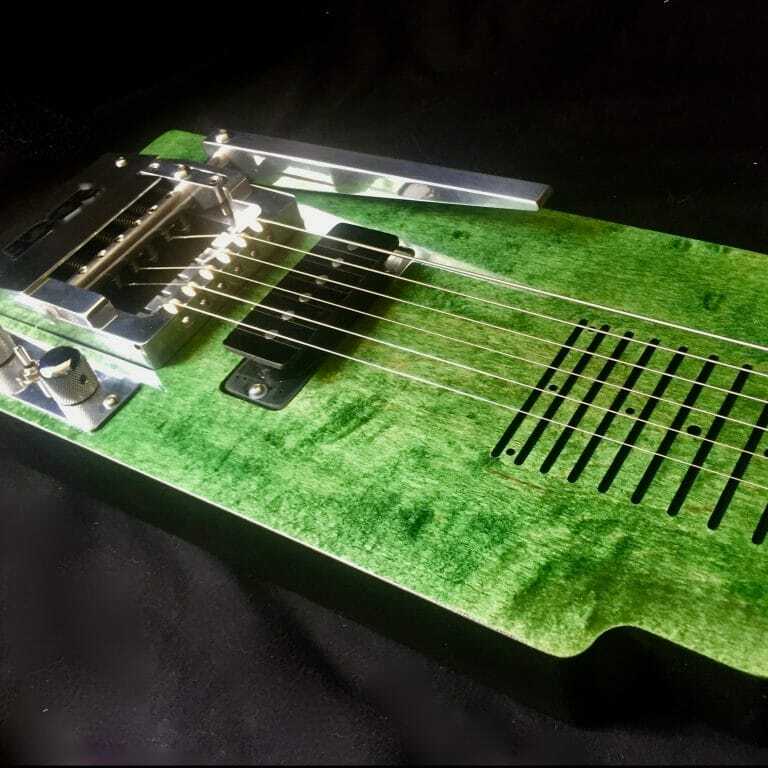 The SlideKing LS Custom Lap steel guitar with The EDGE Pitch Changer is designed and hand-built by Harry and David Jackson, the minds and hands that brought you Sho-Bud Pedal Steel Guitars. 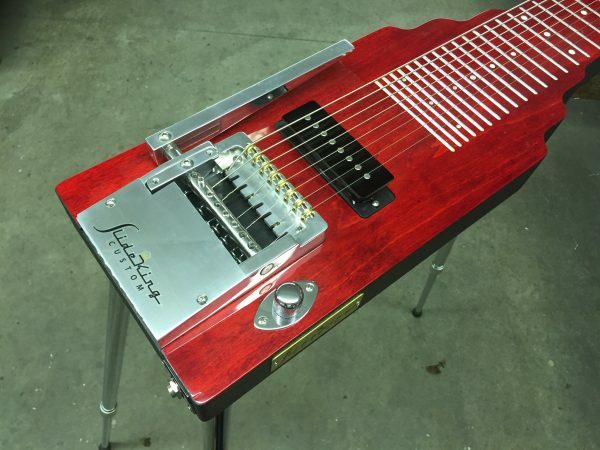 Available in 6- or 8-string. 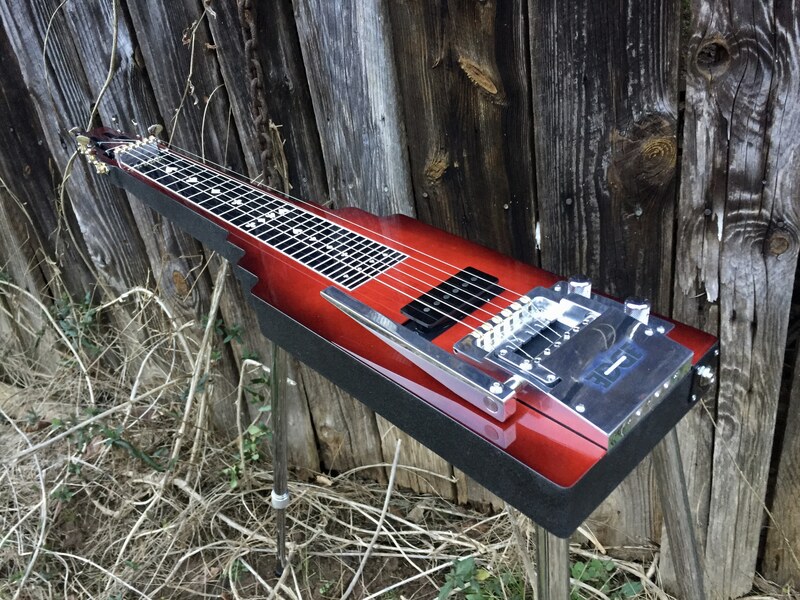 The SlideKing LS lap steel guitar gives you a rich tone and incredible sustain. Whether you are a professional or beginner, this instrument will provide hours of music therapy! The open E tuning makes it a relatively easy instrument to learn and the bender takes you from your I to your IV chord…so you already have two chords just by striking the strings and pushing the lever! 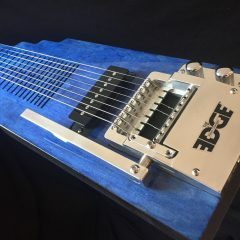 The EDGE On-Board Pitch Changer lets you bend in and out of notes like a pedal steel, and doubles your chord options up and down the fretboard. 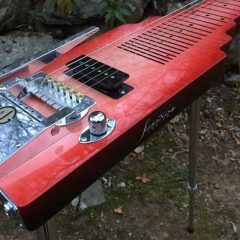 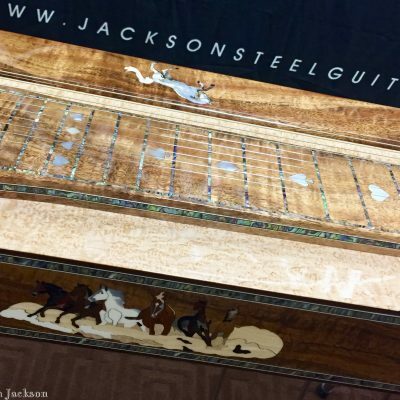 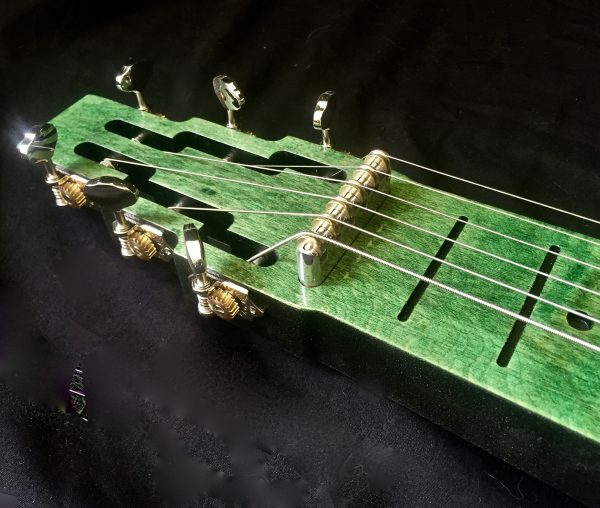 Guitar body and parts are designed, hand-cut, hand-painted and hand-built by Harry and David Jackson, the hands and minds that brought you Sho-Bud Pedal Steel Guitars. 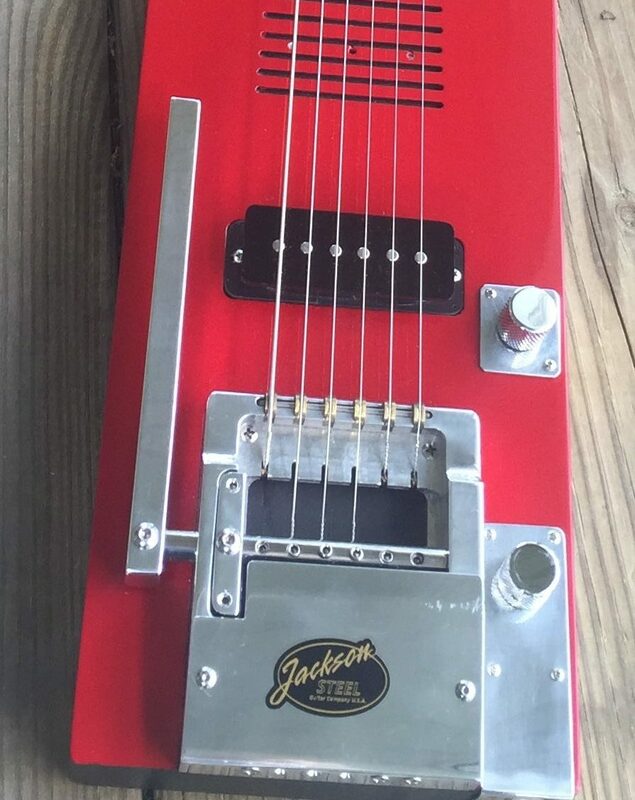 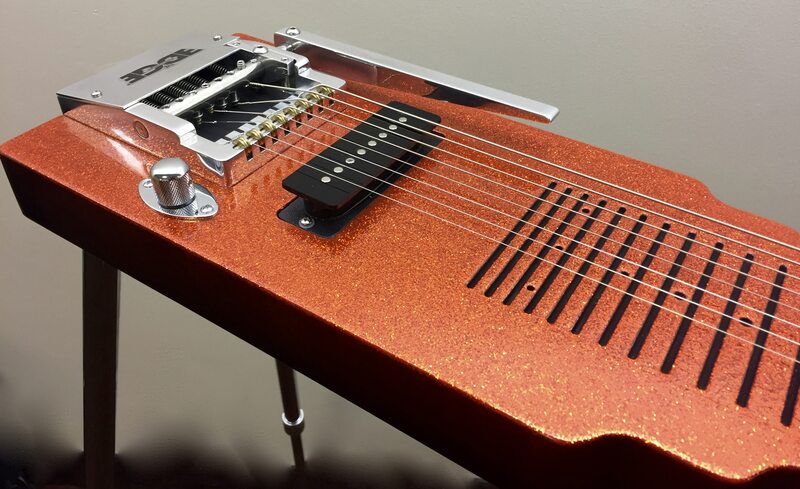 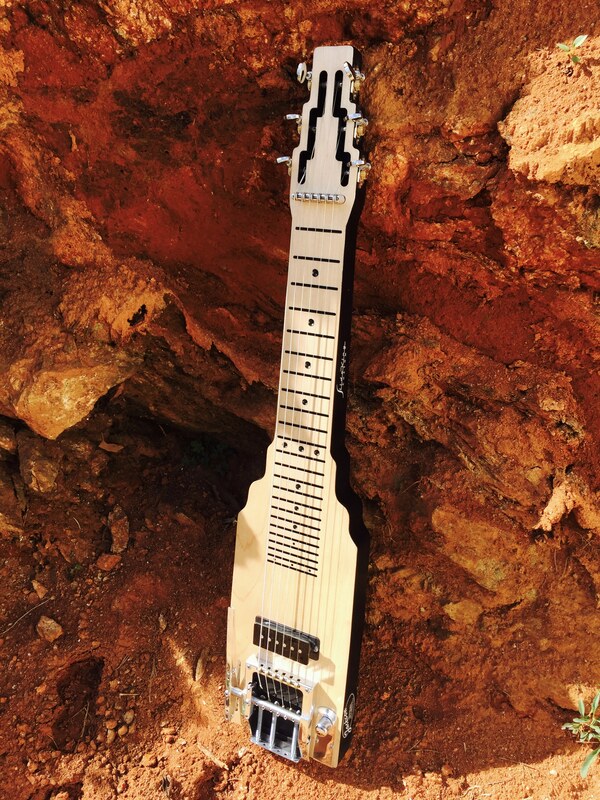 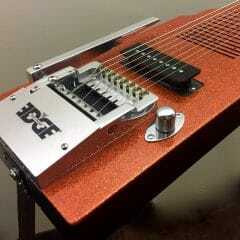 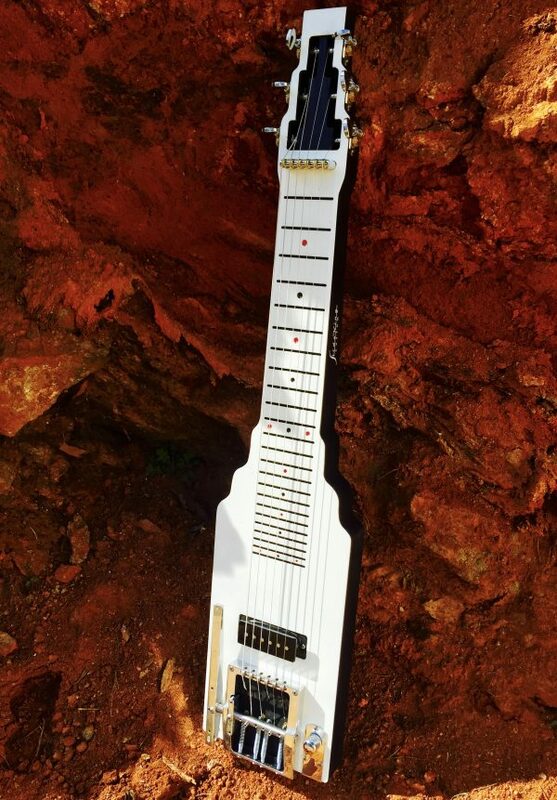 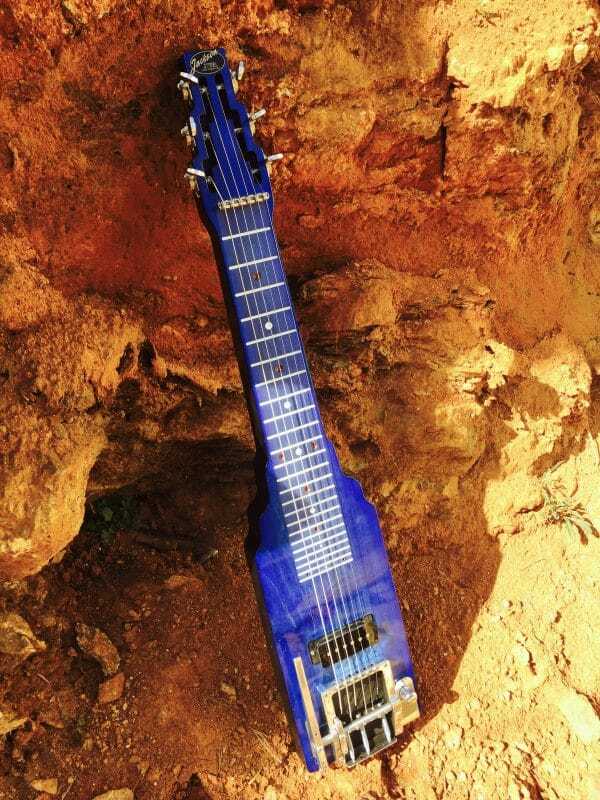 SlideKing Lap Steel guitar with The EDGE Pitch Changer. 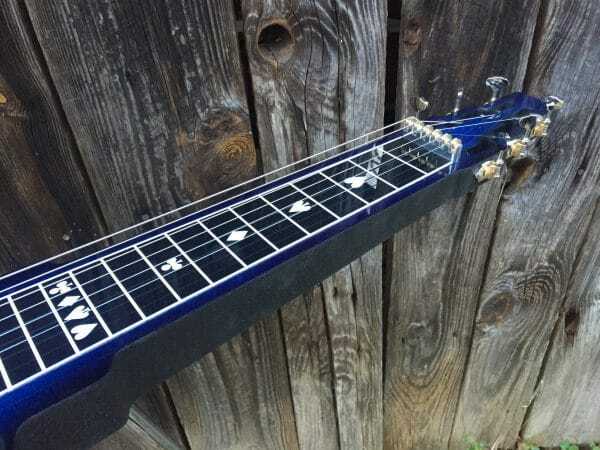 Black Duratex non-slip bottom and sides. 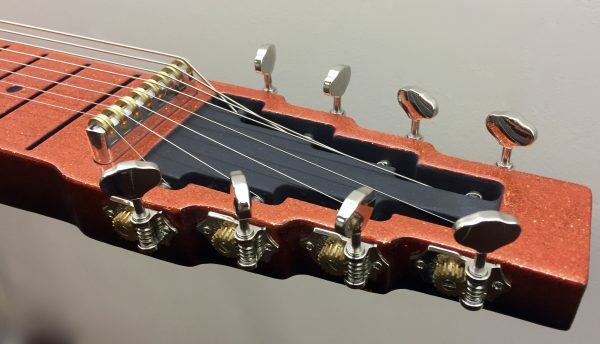 Soft case with leg pouch. 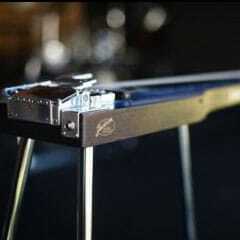 Leg inserts and adjustable stand or sit legs. See our current in-stock selection here.